The Talmud states that in the merit of the belief of the Israelites they were taken out of Egypt. At the heart of Judaism, as with all religions, it is assumed that there is the importance of belief in G-d. What is the meaning to this belief in Judaism? Is there actually an obligation to believe in G-d? The great medieval legalist Rabbi Moses ben Maimon, known as Maimonides (1135-1204), writes in the opening to his major work on the commandments Sefer Hamitzvos: “The first of the positive commandments is the mitzvah (commandment) to know that there is a God, as [Exodus 20:2] states: "I am G-d, your Lord." This version of the opening of the Mishneh Torah is found in all the published and manuscript editions that are extant. In addition, this is how it is written in the landmark Rabbi Shabsai Frankel (1909 - 2000) edition of Maimonides, who in 1970, after succeeding in business, moved to Israel to fulfill his lifelong dream to publish a new, corrected edition of the Rambam's Mishneh Torah. In addition to the accuracy of Rabbi Frankel’s text, at the end of the work he includes an index of variations compared to other manuscripts that may be different to his edition. 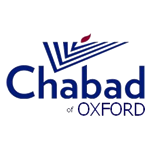 There are four existing basic early source manuscripts of Maimonides’ Mishneh Torah, particularly Sefer Hamada: Oxford’s Huntington (no. 80) manuscript, authenticated at the end of the work by Maimonides’ own signature stating that it was copied from his original copy; Sefardic; Ashkenazic; Taimanite. The Huntington can be found in Oxford’s Bodleian library manuscript 80 brought to Oxford as part of the Cairo Genizah. The Taimanite editions can be found in Cambridge in the Taylor Shechter library and the Ashkenazic and Sefardic manuscript editions can be found in Oxford’s Bodleian library, no. 569 (Seldon) and no. 572 (Michael), amongst other places. In this essay we would like to present a new discovery that we have found in the Oxford Huntington manuscript edition that for the first time will offer an alternative reading. At first glance this seems to be of enormous importance but for some unexplained reason has been overlooked for the past 800 years by all the researchers and copyists of Maimonides’ significant work - Mishneh Torah. It is therefore astonishing that in his opening to the Mishneh Torah in all the printed editions based on the manuscripts the word G-d is omitted and it merely states “The foundation of all foundations and the pillar of wisdom is to know that there is a Primary Being...” with no actual mention of G-d. The lack of mention of G-d’s name in all the prevalent editions as far back as 16th century appears to be raised by the primary commentator of the Mishneh Torah Rabbi Joseph Karo (1488-1575) in his work Kesef Mishneh. He observes that the opening words “The foundation of all foundations and the pillar of wisdom” has G-d’s four letter name tetragrammaton encrypted in them. The first letters of the four Hebrew words “Yesod hayesodos veamud hachochmos” translated as “foundation of all foundations and pillar of wisdom” spells the tetragrammaton. In this way, Rabbi Joseph Karo writes, Maimonides wanted to include G-d’s name in his opening. This comment seems to reflect that the version Rabbi Joseph Karo had before him while writing his commentary did not have G-d’s name in the opening line, for otherwise this observation, though true, would have been considered redundant. What is the relevance of this omission or inclusion of G-d’s name in the opening to Maimonides’ Mishneh Torah, as discovered in the Huntington manuscript? There is of course no doubt that when Maimonides writes “The foundation of all foundations and the pillar of wisdom is to know that there is a Primary Being who brought into being all existence. All the beings of the heavens, the earth, and what is between them came into existence only from the truth of His being” - he is referring to G-d. If so, is it of significance whether it states G-d explicitly or not? I would like to argue that while it appears to make sense that Maimonides would have desired to have the word G-d inserted in his opening line, there are two fundamental reasons why G-d’s name would not have been mentioned in his opening, which may explain why this omission did not disturb any of the great commentators. Thus, Maimonides in the Guide for the Perplexed differentiates between G-d’s names and his Absolute True Existence. Accordingly, it makes sense that Maimonides, when writing the first paragraph that refers to G-d’s True Existence, would omit a mention of G-d that is described by one of His names – attributes - Elokah. For this reason Rabbi Joseph Karo might have been satisfied that Maimonides mentions G-d’s tetragrammaton encrypted in his opening words, as the opening about knowledge of G-d refers to His True existence, reflected in the tetragrammaton rather than an attribute. Where Maimonides does not mention the description of G-d as Absolute Existence, as in the Sefer Hamitzvot, he would have no issue with mentioning the commandment to know that there is a G-d, describing G-d with a name that is an attribute, as G-d is described as such in many places in the Torah. The above logic however would be undermined by the discovery in the Oxford Huntington manuscript where the word G-d, as attribute, is inserted “The foundation of all foundations and the pillar of wisdom is to know that there is a G-d, a Primary Being who brought into being all existence.” It would appear to be a contradiction between the Mishneh Torah, where the two names appear to be synonymous, and the Guide for the Perplexed, where as mentioned above they are two different concepts in the Divine that should not be confused. Is there a commandment to believe in G-d? Another rationale for the lack of mention of G-d’s name in the opening of the Mishneh Torah can be understood in relation to a debate amongst the medieval commentators and legalists whether there is a commandment at all to believe in G-d. The Mishneh Torah that was written by Maimonides in Hebrew uses the Hebrew term “to know” that there is a primary being. This means that the requirement is to know rather than believe. In the Sefer Hamitzvot, which was written by Maimonides in Arabic, however, there is debate regarding the terminology. The popular translation of Sefer HaMitzvot begins: “The first mitzvah is the commandment... to believe in God.” Many Sages objected to the latter definition of the commandment. In his text Rosh Amanah, Rabbi Isaac Abrabanel (1437–1508) mentions two frequently asked questions: a) How can the first commandment be to believe in God? He is the one who issued the commandments. Without belief in Him, there can be no concept of serving Him by carrying out His will. b) How can one command belief? Belief is a state of mind and not an action that is dependent on a person's will. By stating that the command is "to know" - i.e., to develop one's knowledge and awareness of God - both of these questions are answered: Though one believes in God, he must work to internalize that belief and make it part of his conscious processes. Furthermore, the intellectual activity necessary for this process of internalization is an act which is dependent on the will of the person and may be therefore considered a commandment. In his work Derech Mitzvosecha, Mitzvat HaAmanat Elokut by Rabbi Menachem Mendel of Lubavitch (1789-1866), known as the Tzemach Tzedek after his legal work, upholds the two texts as correct and explains there are two components to belief: one is rational by deduction, described as knowledge, and another that can be described only as belief as it transcends knowledge. With the latter, he refers to what the Kabbalists refer to as the all encompassing Divine radiance (sovev kol almin) that sees the universe as completely nullified. This absolute nullification of the universe and the self is a matter of belief. The existence of G-d as the primary being that caused the world to come into existence is what Maimonides refers to as “to know” that there is a primary being. In the view of the Rebbe it would appear then that Maimonides indeed reflects the opinion of the Abrabanel that there is no commandment to believe in G-d, but rather the requirement to deepen one’s knowledge of what G-d is. Maimonides in the first six paragraphs of the Mishneh Torah explains at length the details of this knowledge. For this reason, the Rebbe argues, Maimonides quotes the Biblical source for this commandment only at the end of the full description: “The knowledge of this concept is a positive commandment, as [implied by Exodus 20:2]: "I am God, your Lord...."
It can be argued that the view that Maimonides does not maintain belief in G-d alone as a commandment is most consistent when the word G-d is omitted in the opening of the Mishneh Torah and his focus is on the definition of knowledge of G-d as a primary being who has an Absolute Existence. However, if the opening states “The foundation of all foundations and the pillar of wisdom is to know that there is a G-d, a primary being who brought into being all existence,” while not necessarily refuting this view, it would appear to undermine it, as Maimonides would then be informing us that the foundation is to know that there is a G-d, while he continues to explain also the nature of this knowledge. It would be interesting to consider whether the Abrabanel and others would have concluded otherwise regarding Maimonides's view on the requirement to know G-d had the Huntington manuscript version of Oxford been known, authenticated by Maimonides' own signature.